In order to determine the ideal heating system for someones home, let’s look at there most common types. Here in Southern California, there are a few different types of residential heat. We have Floor and wall furnaces, Ducted Central furnaces, and Ducted and Ductless Heat Pump systems. A Floor furnace are stand alone furnaces built into your floor. Often they connect to a wall to provide heat to multiple rooms at once. The heat they provide is often uneven. They are also unsafe, due to the fact that they do not have ANY safety features built in. Most floor furnaces are over 70 years old and pre-date central heating. Because of this, there is a good chance that any original floor furnaces are rusting away. When rust is present, heat exchangers crack and introduce carbon monoxide into the home. Carbon monoxide is known as the silent killer. I never recommend sticking with your old floor furnace. Wall heaters are more common today and serve the same basic function. They have no moving parts, and they use an inefficient “standing pilot technology”. This means gas is burning in your furnace, whether you are using it or not. However, todays wall furnaces have safety shutoff switches built in to prevent fires. They do NOT have anything to protect you against carbon monoxide. They also are mainly a one or two room solution. If you want to heat more than one or two rooms at a time, consider a different solution. This is the most common type of heating in the United States. These furnaces are hooked up to ducts that run through your attic or crawl space to serve each room of your home. Heat distributed through the ducts via “forced air”. If you have Air Conditioning, this air is also delivered by the furnace blower. These furnaces are rated in AFUE (Annual Fuel Utilization Efficiency) and their counterparts are sized and designed custom to your home. Todays furnaces are, by federal mandate, no less than 80% AFUE (efficient) and there are furnaces 99% AFUE. Depending on the climate in which you live. HVAC professionals will recommend a specific efficiency. Good contractors base their recommendations on “Return on Investment” or ROI. A good AFUE savings calculator can be found here. 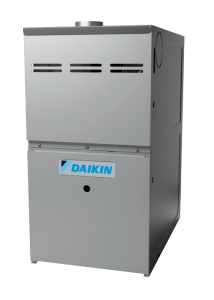 Ducted Heat Pump systems appear on the outside to be very similar to Ducted Gas Furnaces. The basic concept remains the same, but instead of using gas and fire to heat your home, they use refrigerant. The most easy way to explain this is to say that it’s like running an air conditioner in reverse. Thus providing heat to the indoors and blowing the cold out. The heat is transferred in and out of your home through refrigerant pipes. Depending on your utility costs, Ducted Heat Pump systems are more economical in parts of the US than gas fired furnaces. 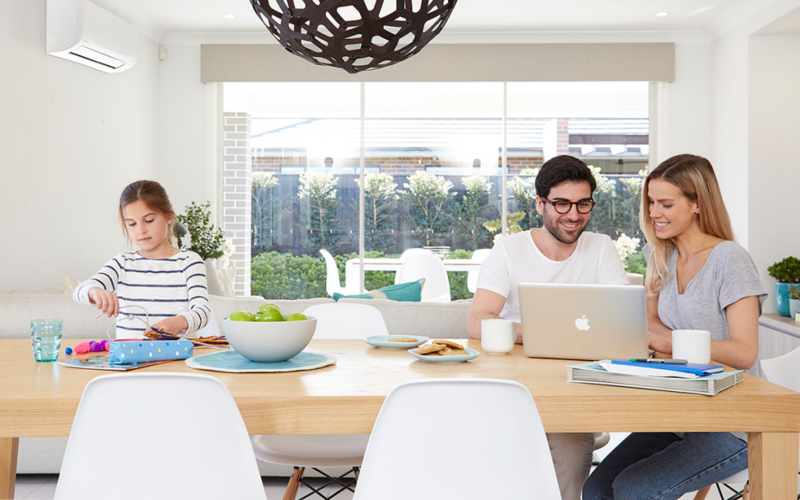 One advantage of any Heat Pump system is the ability to split your house into zones. We use VRV/VRF technology to achieve this at Thomson AC. These high efficiency zoned systems are so state-of-the-art, you can’t even measure them with todays testing methods. We have tons of customers that are so exited about the value they achieve with their new zoned heat pump systems, they can’t wait to share their stories with you. We will post videos shortly, but in the mean time, you can read customer reviews here. 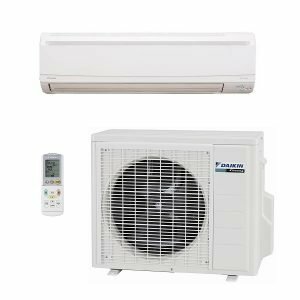 Ductless Heat Pump Systems have ALL the benefits of the traditional ducted systems with one major difference. …you guessed it. They have NO DUCTS! In energy models, up to 40% of energy loss is due to the duct system. We as HVAC professionals have figured out over the years that air is not a good way to transfer heat over a distance. Think about a pipe trying to carry 50 degree air through an attic that’s over 120 degrees. There’s no way to keep the heat in without incredible amounts of insulation. No ducts means no heat lost through duct work. The absence of ducts also means there are no large holes in your floors and ceilings. Holes created by ductwork create so many problems, the state of California passed laws to reduce the amount of leakage created by these openings. You see, the area of your home inhabited by you is called (by us HVAC geeks) “the conditioned envelope”. The conditioned envelope of a home excludes unconditioned areas like your garage, attic and subfloor crawlspace or basement. And any holes going in and out of the conditioned envelope allows an opportunity for contaminants and unconditioned air to enter your home. Thus, no holes in your homes conditioned envelope means less energy lost. 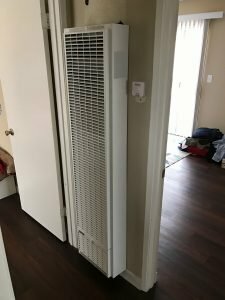 …I could go on for days about how cool ductless systems are. If you have any questions about what type of system is right for you, please Give us a call and ask for me (Josh the Owner) or any of our project managers. I love to talk about this stuff. I don’t even care if you use me as your contractor. I’m just happy to help. You can also email or call any of us directly. Our contact info is on our Meet the Team page.